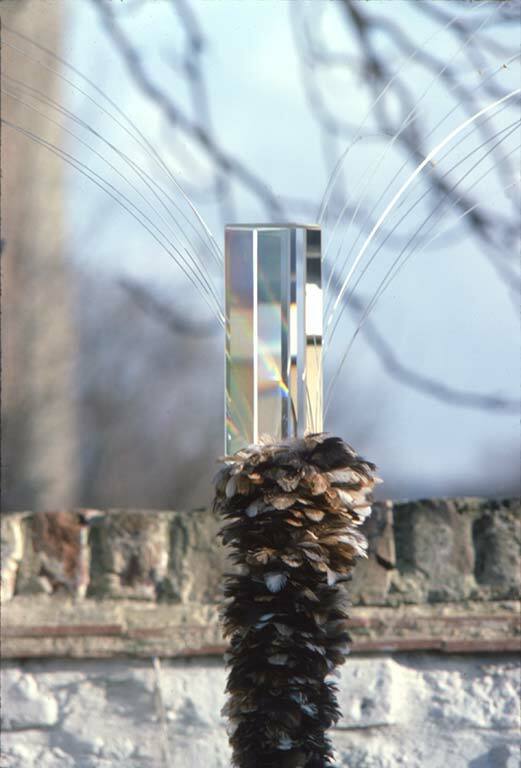 Anodised aluminium angle, feather dusters, piano wire, glass beads, optical glass prism. 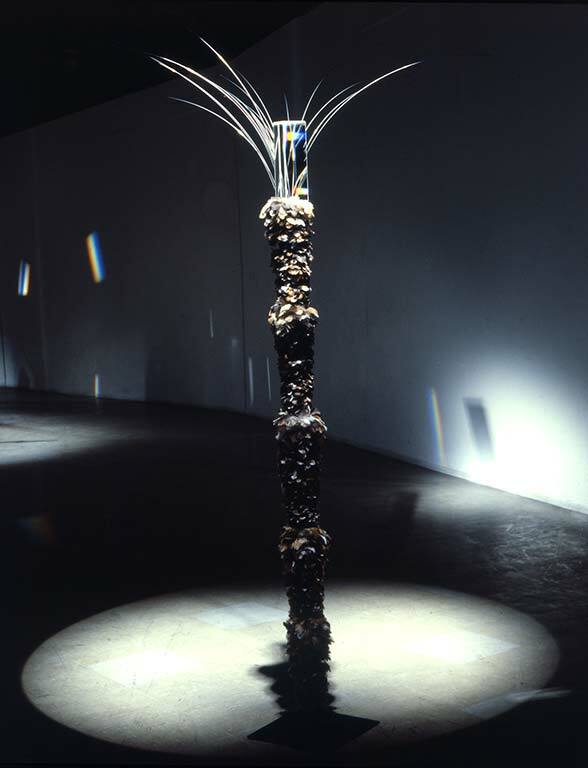 This sculpture heralded a great change in Lijn’s work. 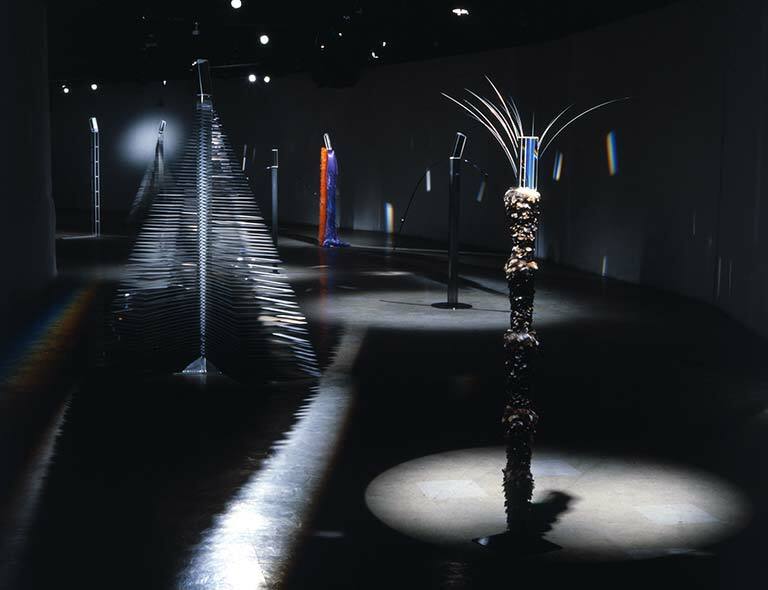 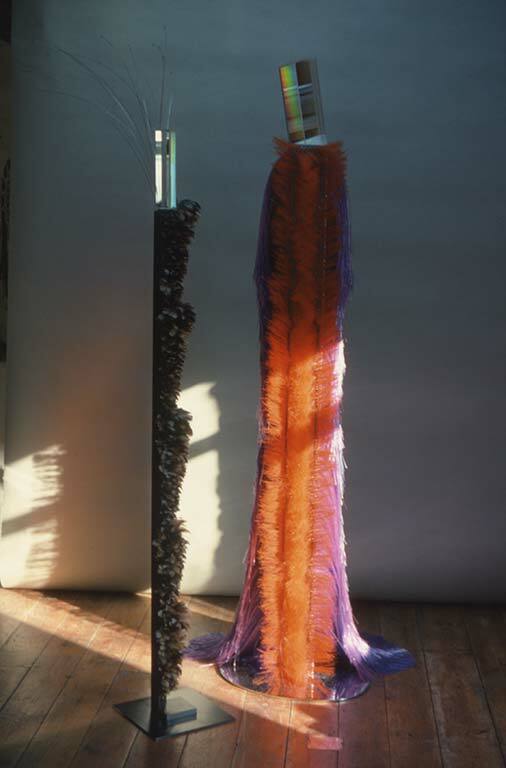 Whereas before, the feminine had entered her work in the lyrical and sinuous reflections of light in motion, in this sculpture Lijn decided to use soft, luxurious and possibly gender specific materials.